You may be wondering how to effectively create a clear org chart for your organization or department. So where should you begin? What kinds of resources and tools should you use? 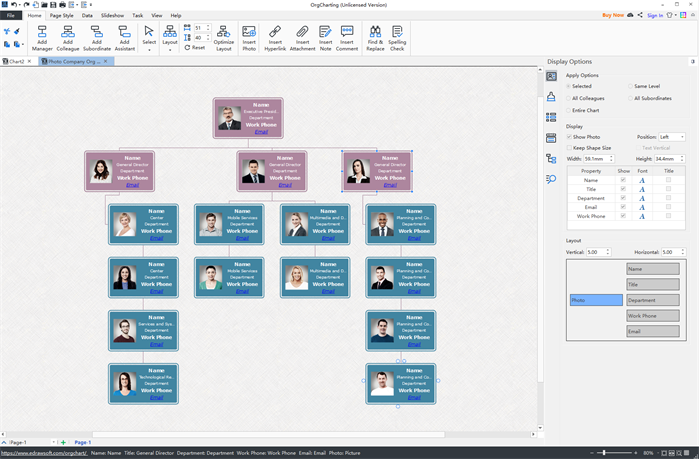 Just simply check out this easy org chart creator with premade resources and innovative features for you need. The user interface of the software is similar to Microsoft software, so you can get started in no time to access different editing options. You can also choose the night mode for eye-protection. 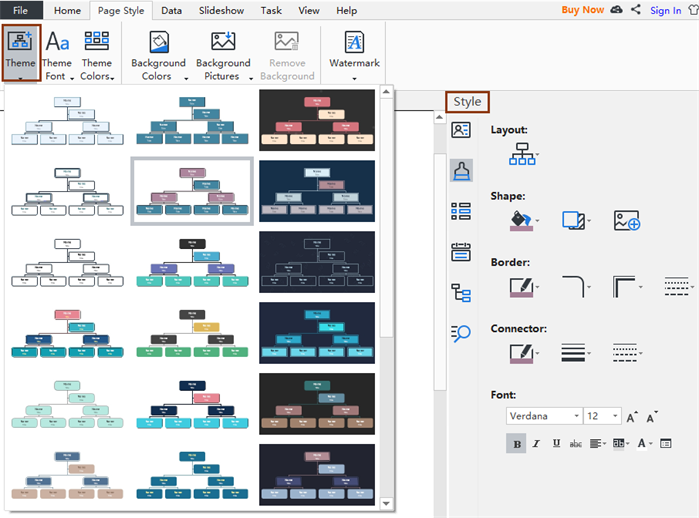 The easy org chart creator also has many built-in org chart templates and examples for different layouts and data fields such as org chart with pictures, marketing department org charts, nonprofit org charts and more. 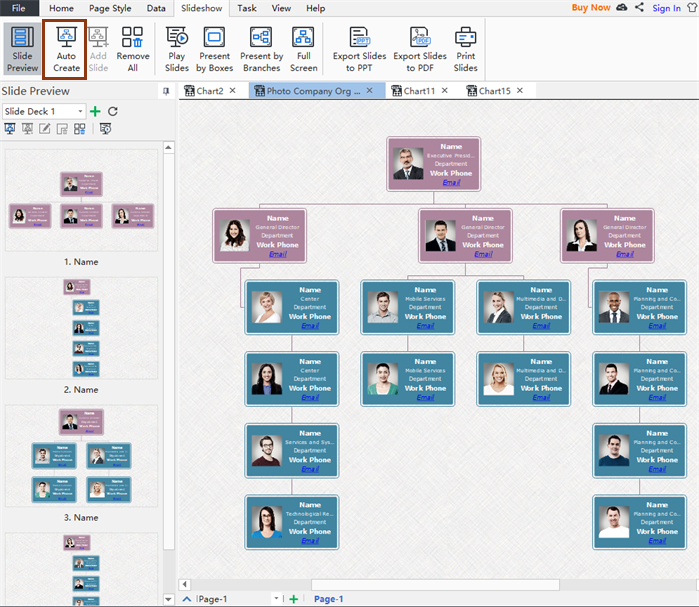 The easy org chart creator lets you freely add employee boxes/photos as managers, colleagues, subordinates or assistants. You can also choose to show or hide employee details, or adjust the photo positions etc. Attaching additional notes, comments and web links are also handy with the software. 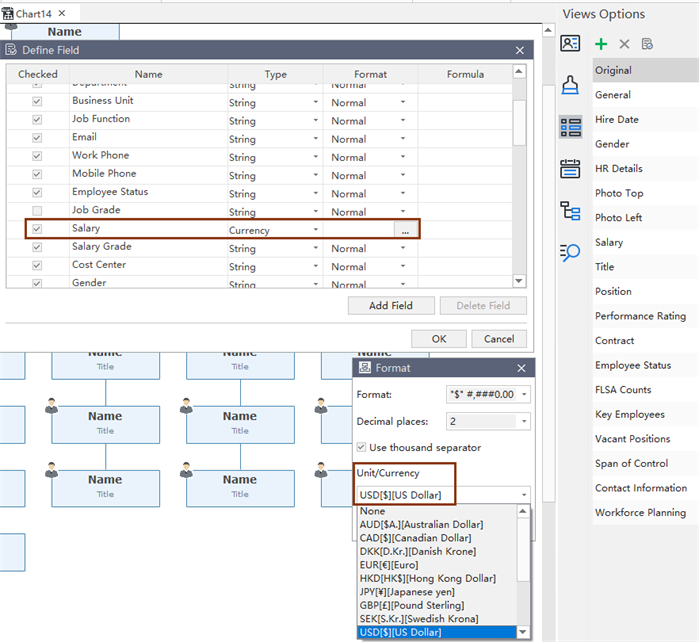 The software has a series of different org chart layouts for you to one-click re-layout the overall structure of your org chart. 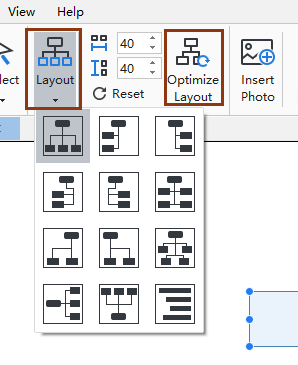 Furthermore, you can hit on the Optimize Layout button to auto-change your current chart to the best well-structured one. With this easy org chart creator, you can choose to display only based on one or a few specific built-in measurements such as Hire Date, Salary, Positions, Performance Rating, FLSA Counts, Span of Control and so on. For example, if you choose the Salary display option, then you can select US Dollar or Pound Sterling as your currency unit. Moreover, you can add your own measurement by inputting a field name and the format. If you have made some changes to your employee personnel like someone quits the job, promoted to a higher position or the recruitment of new interns, then you can simply go to the Resync Data to update any changes. You can decide whether every single data filed would be shown in the exported version. 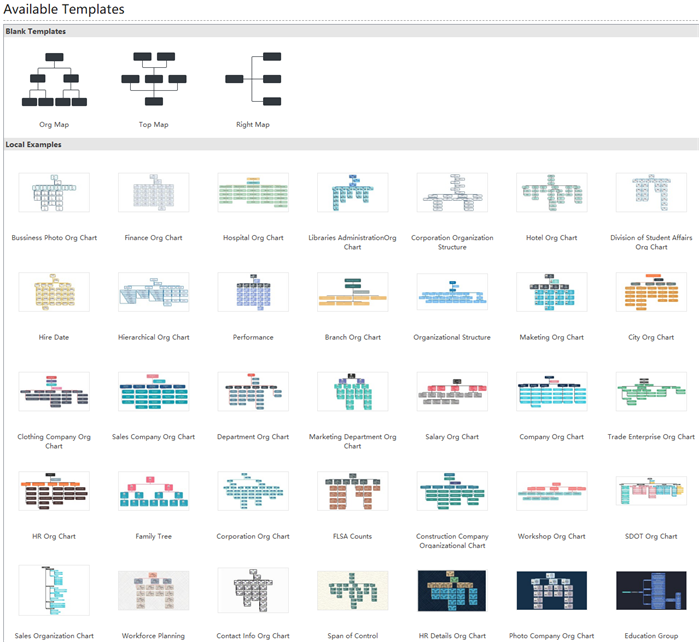 Say goodbye to the black-and-white pattern and try something fresh with the easy org chart creator. Just one-hit to quickly switch between various theme options, colors, background images, text fonts and shape/board types within seconds. 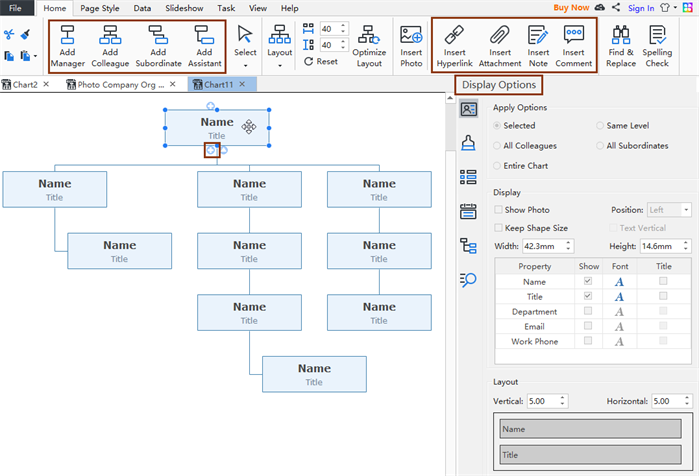 This feature is great for any of your organizational presentations. 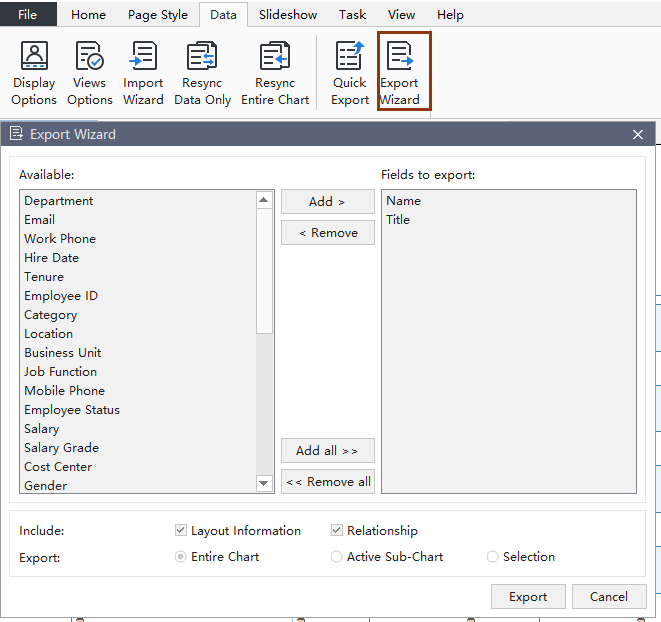 Simply one-click to auto-create a series of slides differed by departments based on your current org chart, then you can freely travel around between employees in full screen by using keyboard shortcuts during presentations. 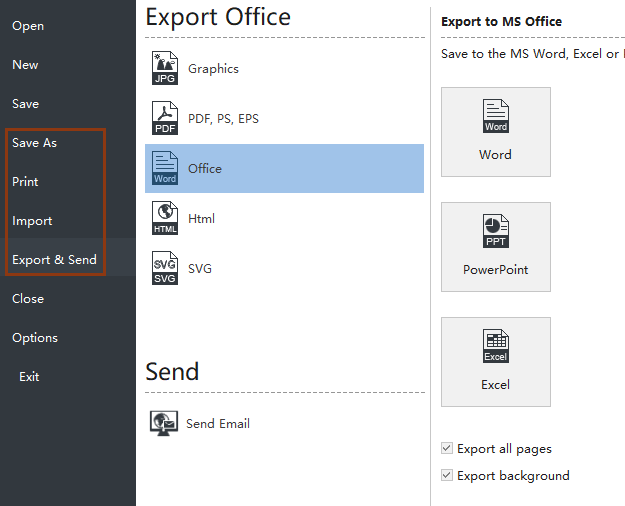 The easy org chart creator supports exporting to many formats including PNG, JPG, PDF, MS Word, PPT, and Excel etc. You can also print on A3, A4 or A5 sizes papers. Additionally, the preset personal and team cloud system is quite convenient for your organizational communications. Easy to Share on Different SNS/Network Platforms. Quick File Recovery & Find and Replace Items. Tutorial Videos for a quick start. In-time Consumer Support for updates and feedback. Flexible Pricing Packages for Startups, Middle-Size Firms and Enterprises. Try for Free Right Now!